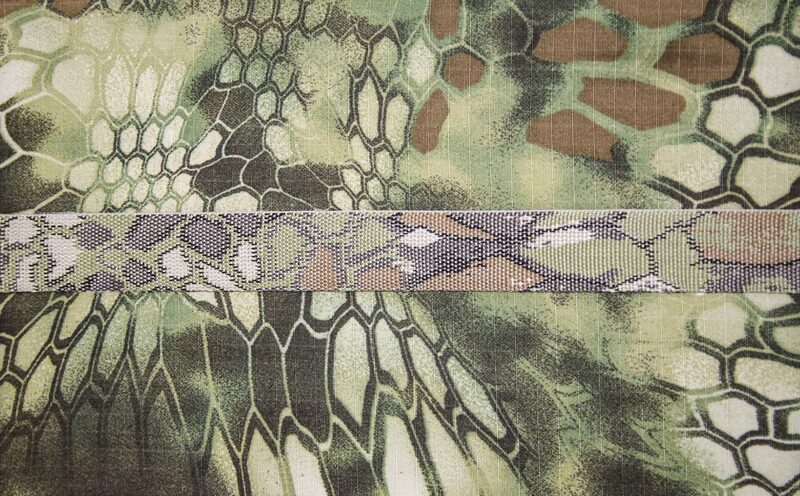 Kryptek Outdoor Group creates their patterns from real life knowledge of what is needed on a battleground. Their designers draw from actual combat experience, and use of innovative technologies, to create ideal designs for hunting and outdoor adventure. 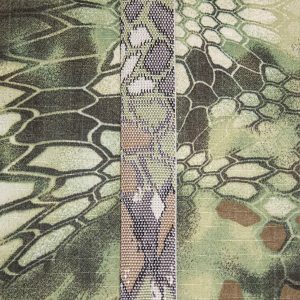 Unlike traditional stick and leaf camouflage, Kryptek’s design incorporates micro and macro layering inspired by artillery camouflage netting. This creates a 3D appearance on a 2D surface and near-invisibility. We produce high-quality webbing in Kryptek Highlander™ and Mandrake™. All of our patterns are approved by Kryptek and are made with Berry Amendment compliant material. We produce backpack and belt weight constructions. This webbing comes in standard widths of 19mm, 25mm, 38mm, and 50mm. All products are available with any value-added option. Custom weights and widths are available upon request. Contact us today to order! Only the strong survive beneath the canopy where the shadows deepen and the surroundings are dense. Kryptek Mandrake™ is designed for those regions where success or survival depends on your ability to become one with your domain.